Having a cold can leave you feeling physically exhausted and mentally drained. Get yourself back on track faster with these simple tips. The last thing you want to do when you wake up with a hacking cough or terrible sore throat is trek to the drugstore for the appropriate medication. To avoid this problem, check your medicine cabinet regularly to see if things have expired. This will help ensure that you are not in possession of treatments that are no longer good to take. When something expires, replace it. This doesn’t mean you have to maintain a mini drugstore in your bathroom. Simply aim to keep those items you need most frequently around. For example, if you know you are prone to sore throats, always make sure you have usable cough syrup on hand. Or if you are frequently touched by sinus infections, keep some nasal spray around. Whatever you can do to make that first day of sickness easier, the better. Drugstores now are loaded with items that make having a cold easier. Mini tissue packages, throat lozenges and small pill containers can all easily be taken with you wherever you go. Create your own arsenal of medical tactics so you can tend to your needs wherever you are. It’s natural when you are sick to not want to feel like you’re a burden or as though you are making excuses. But sometimes that can lead to pushing yourself too hard and making things worse. If you know there is a less strenuous task at work that needs to be done, ask if you can tackle that until you regain your strength. Don’t be afraid to let your boss know you’re feeling under the weather. He or she just might have a solution that will allow you to heal faster without feeling like a burden. The only thing worse than getting a cold is having that cold last far longer than you should. And that is far more likely to happen if you don’t give your sick body the treatment it deserves. As soon as you start to feel that cold coming on, focus on taking extra care of your health. Aim to get eight hours of sleep a night, eat lots of fruits and veggies, reduce stressful situations and even take supplements if you find that helps. Whatever you can do to help strengthen your immune system will do wonders for getting yourself back in peak condition. 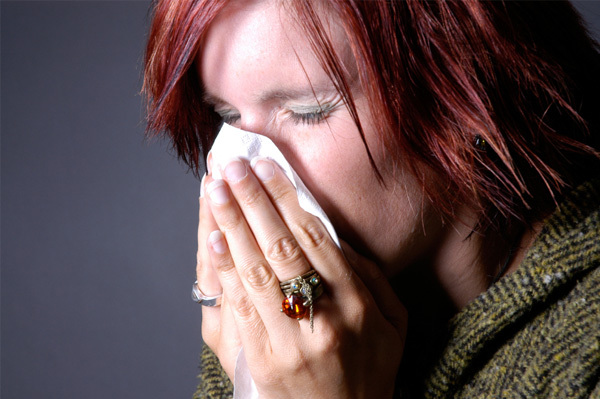 When you have a cold, your miserable body can make you feel terribly about life in general. Don’t be afraid to treat yourself to little things that can make you feel a whole lot better. Put some extra honey in your lemon tea, hit the snooze button one more time and buy yourself that pricey tub of fruit you normally resist. You are going through a lot physically, so whatever you can do to improve your emotional well-being is fair game!